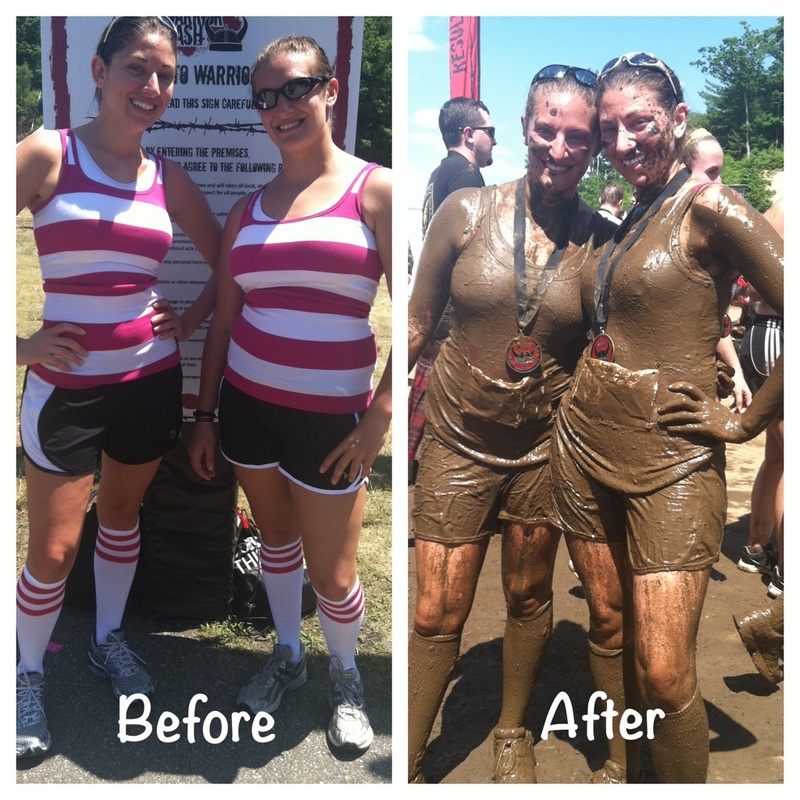 This past weekend my sister and I did our first mud run, the 2012 New England Warrior Dash. 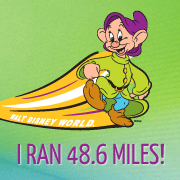 I knew it would be more fun to do the race with someone, so I convinced my sister (who is not a runner) that the 3 miles would be totally manageable since you got to take a break from running at each obstacle…somehow she bought that logic and signed up with me! 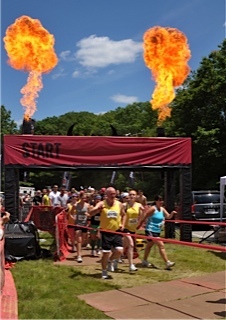 The New England Warrior Dash was at the Thompson Speedway in Thompson, CT – a little over an hour from my mom’s house. We arrived at the site around noon, with plenty of time to park, pick up our registration packets and check stuff out before our 1:30pm start. At around 1:15pm we got into the starting corral and waited for them to send off the 1:30pm starters. Christina and I made our way through each obstable including running through tires, climbing a rock wall, climbing over beat up cars, crawling under netting (which I got a little stuck in) and crossing a river on a tight rope. 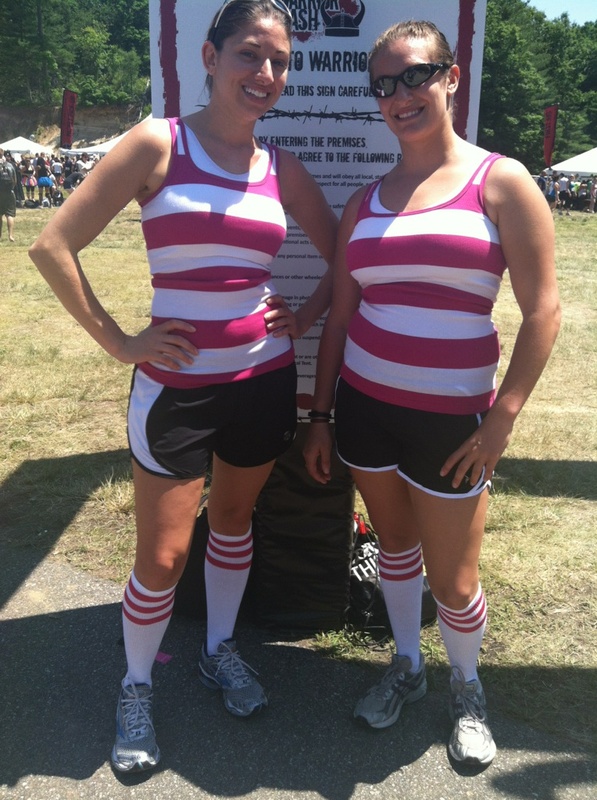 We were moving through the course at a pretty good pace and I was having an absolute blast! 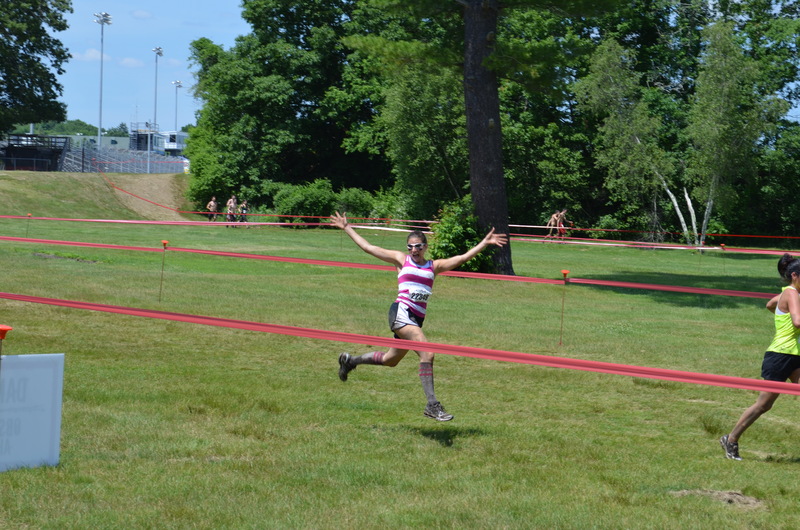 I was excited to get to the last three obstacles because I knew that Jason, my dad and Mike (Christina’s boyfriend) would be there waiting for us to come by so they could get some pictures! 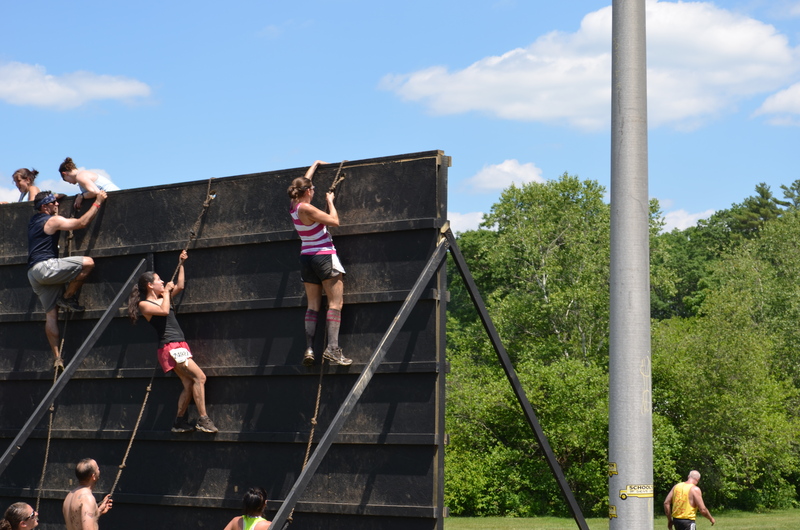 Due to my pathetic arm strength I was a little nervous about pulling myself up the rope to get over the wall with all those people watching but I have to say I think I scrambled over that wall pretty quickly! 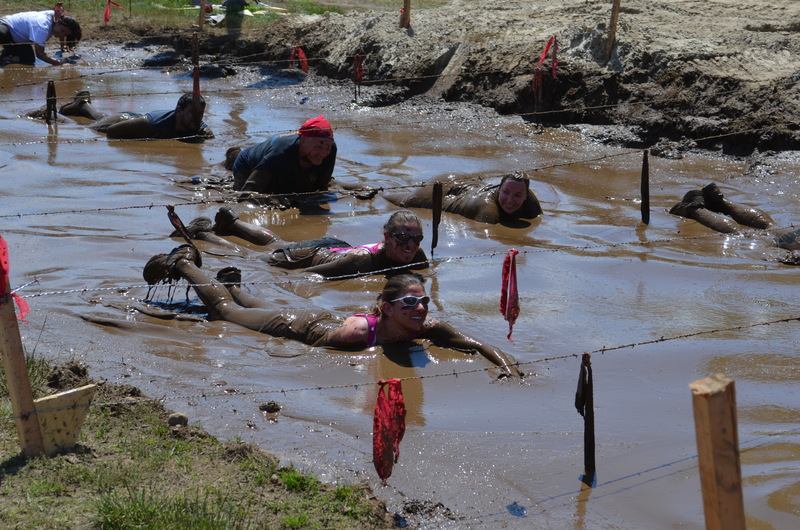 After the death defying fire leap we made our way over a horizontal cargo net and then headed to the home stretch – the MUD PIT! ME: This is freaking so much fun! CHRISTINA: She better hope I don’t catch her, I’m going to kill her! MUD TIME! And let me tell you, this was NOT muddy water, this was MUD! 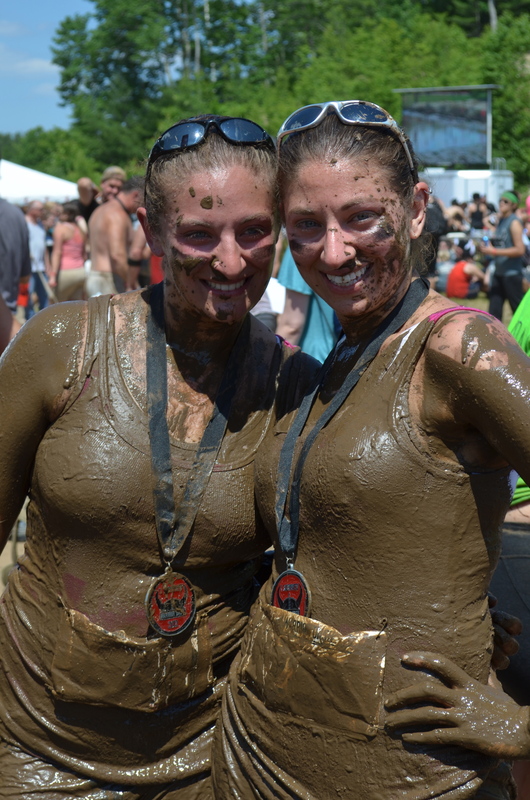 After we had taken plenty of muddy pictures we “showered” – i.e. got hosed off by the local fire department! We ended up completing the course in 44 minutes, 46 seconds which I thought was great considering Christina doesn’t run at all! 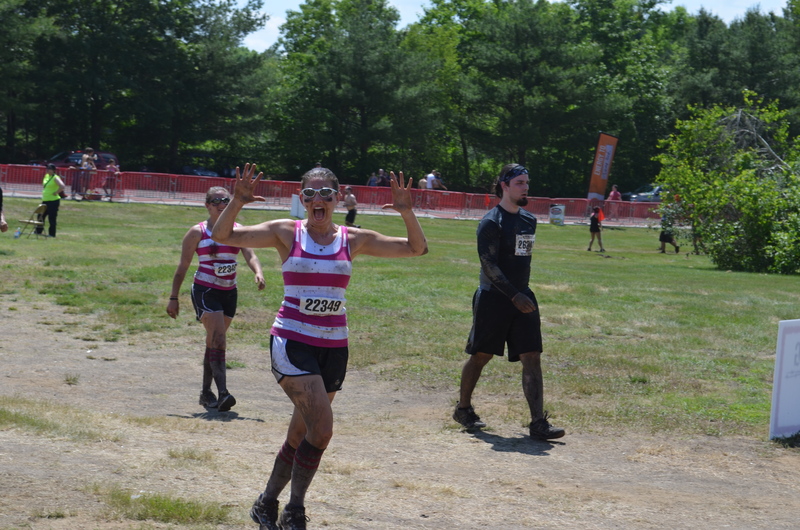 I LOVED the Warrior Dash and can not wait to do another mud run! Seriously, why do we not play in the mud more often??!? !